Organ motion should be taken into account for image-guided fractionated radiotherapy. A deformable segmentation and registration method was developed for inter-and intra-fraction organ motion planning and evaluation. Energy minimizing active models were synthesized for tracking a set of organs delineated by regions of interest (ROI) in radiotherapy treatment. The initial model consists of a surface deformed to match the ROI contour by geometrical properties, following a heat flow model. The deformable segmentation model was tested using a Shepp-Logan head CT simulation, and different quantitative metrics were applied such as ROC analysis, Jaccard index, Dice coefficient and Hausdorff distance. Experimental evaluation of automated versus manual segmentation was done for the cardiac, thoracic and pelvic regions. The method has been quantitatively validated, obtaining an average of 93.3 and 99.2% for the sensitivity and specificity, respectively, 90.79% for the Jaccard index, 95.15% for the Dice coefficient and 0.96% mm for the Hausdorff distance. 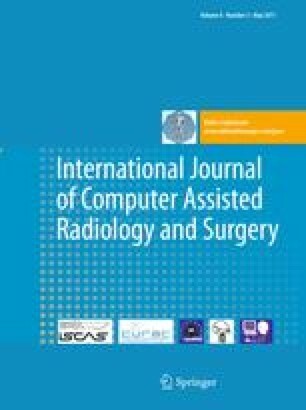 Model-based deformable segmentation was developed and tested for image-guided radiotherapy treatment planning. The method is efficient, robust and has sufficient accuracy for 2D CT data without markers.